Obvious solution? Quick pickle them. 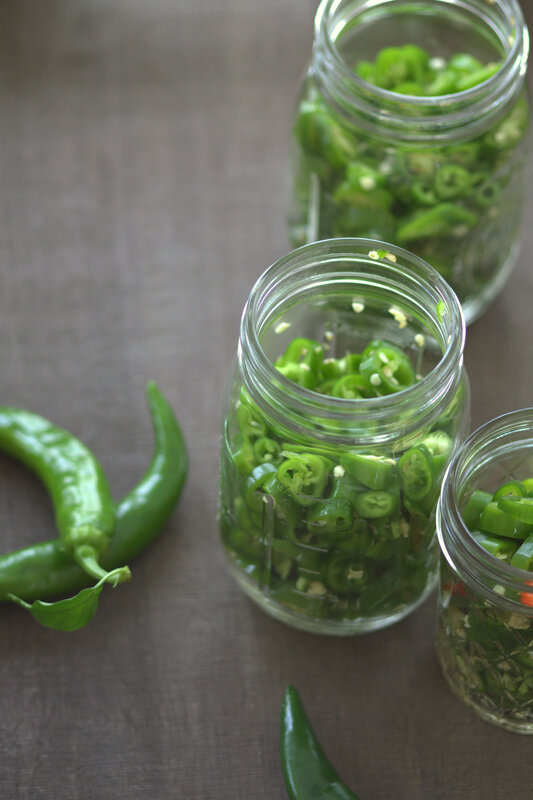 I’m not into canning, so I’m not creating a product with an indefinite shelf life or anything like that, but I do get the impression that my quick-pickled peppers will be usable for more weeks and in more ways than my fresh peppers. Step one: Plant garden salsa peppers. Give them enough water and sunlight and wait for them to bear fruit. Go ahead, I’ll wait. Ok, ready for step 2? Great. Step two: Harvest your peppers. 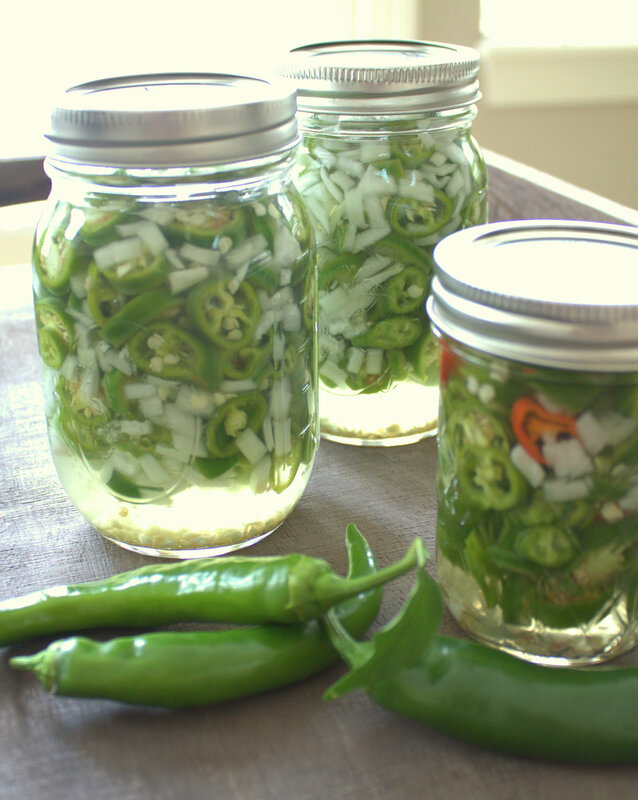 Step three: Assemble your peppers, and slice them thinly across, then add them to a jar with some chopped white onion. 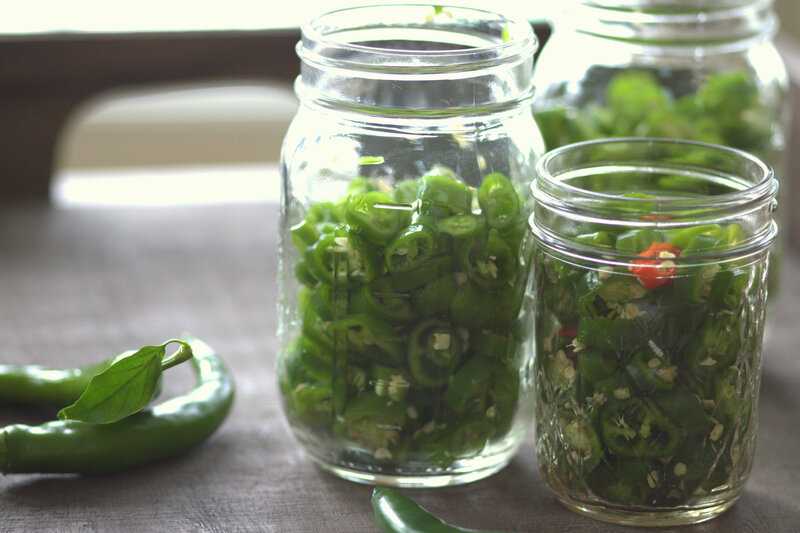 I think I used around 20 peppers and easily filled three mason jars most of the way full. I alternated layers of peppers with a couple white onion pieces between layers. Meanwhile, on the stovetop, begin heating up your pickling liquid (water, distilled white vinegar, chopped garlic, sugar, and salt). Bring the liquid just to a boil, or heat at least until all of the sugar and salt have dissolved. 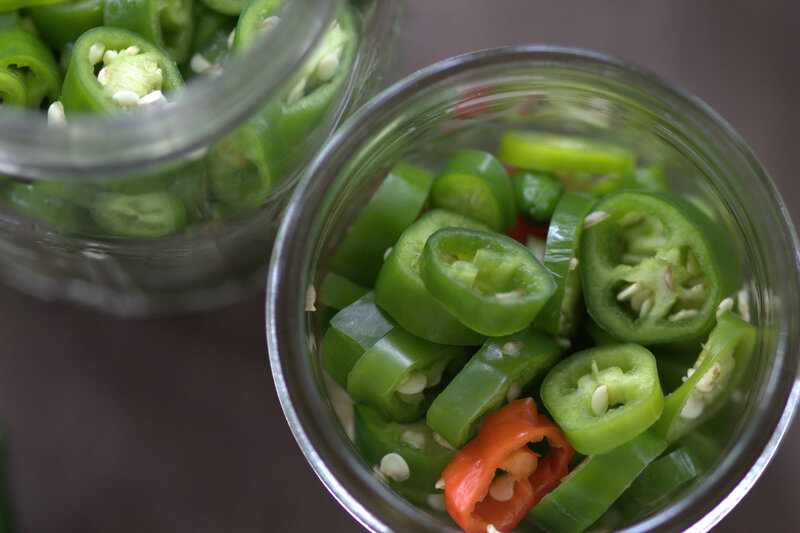 Let your pickling liquid cool slightly, then pour over your peppers. Seal up those jars, and pop them in the fridge. 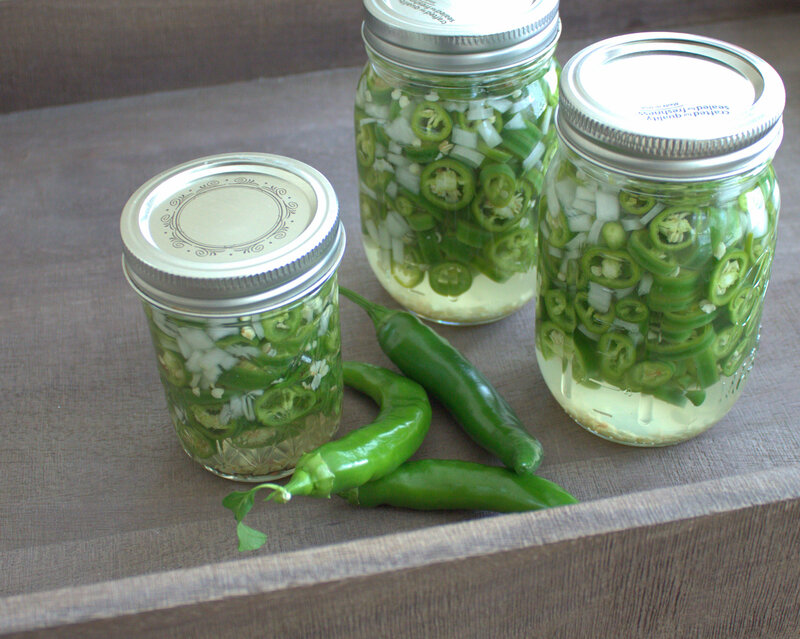 Then let them marinate for about 24 hours before you go to town using them anywhere you’d use pickles or pickled jalapenos! Thinly slice the peppers and add them along with the chopped onion to a glass container (or multiple containers – I used about 3 mason jars for this). In a saucepan, combine the vinegar, water, garlic, salt, and sugar. Heat until the salt and sugar are fully dissolved, or until the liquid just begins to boil. Allow the liquid to cool in the saucepan for a few minutes, then transfer to a large (4 cup) liquid measuring cup or other pitcher (for easy pouring). Pour the liquid over the peppers, covering them completely. Close the jars and refrigerate. 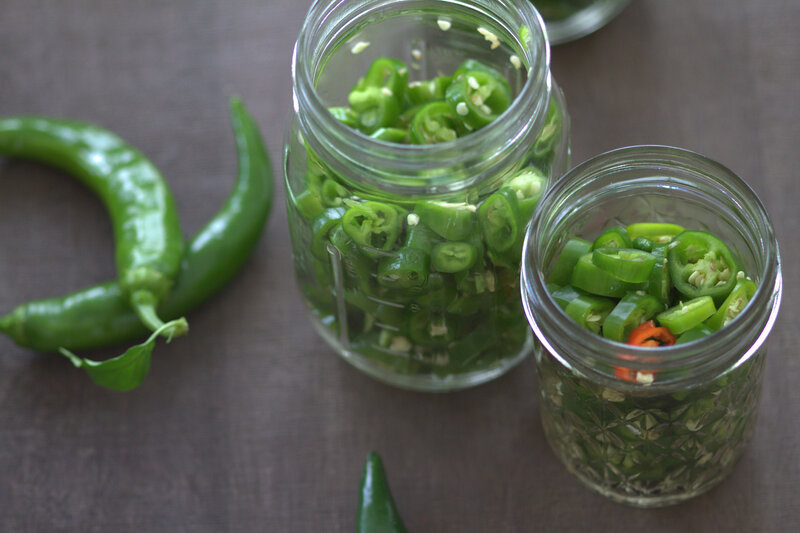 Allow the peppers to sit at least 24 hours or overnight for the best flavor before using them. Try adding them to tuna salad! Hi ~ good to see you back on the blog again (haha….get it….blog/block!). 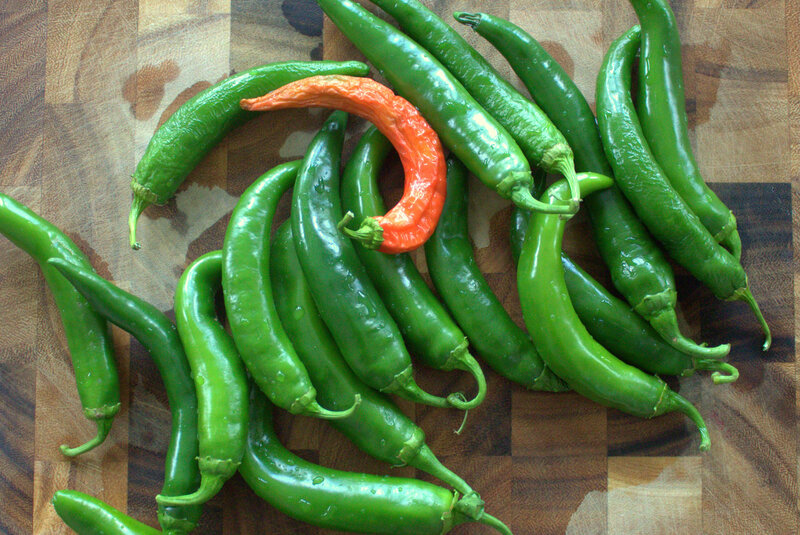 These may be too hot/spicy for me, but very tempting …. your photos are excellent !! I’m not big on pickles but this sounds pretty good. Too bad it’s a year off before I can harvest them.